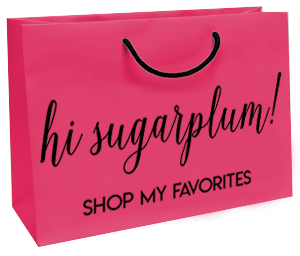 Spring Styles | Work & Weekend | hi Sugarplum! It’s been 70-degrees for over a week now…dare I say Spring is here to stay in Texas?! Light jackets can finally replace heavy coats, and the boots are packed away for another season. 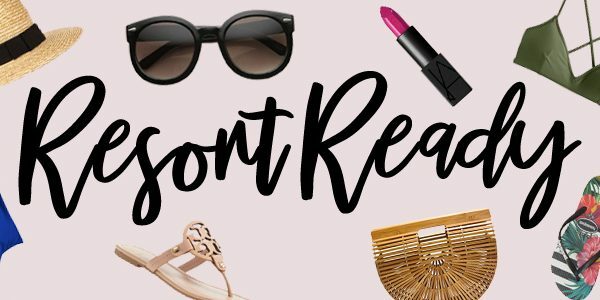 I love Fall, but sandal season is by far my favorite! Today I’ve got two darling spring styles for your Work and Weekend wardrobe, featuring the prettiest shades of blue, and the cutest sandals! And everything is incredibly affordable thanks to JCPenney’s amazing prices!!! 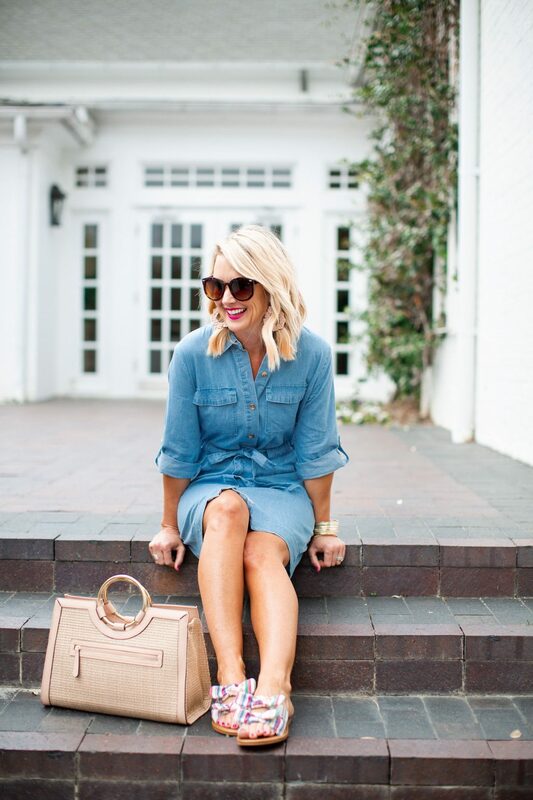 Let’s start with weekend, and this softer-than-soft chambray shirtdress! And thanks to JCPenney’s Friends & Family Sale, it’s all 25% off! 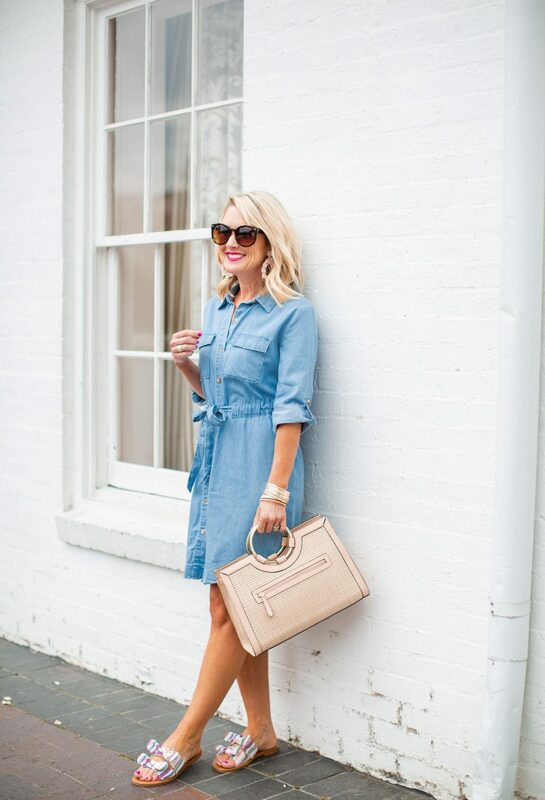 It’s hard to beat a chambray shirtdress, and this one fits so comfortably…not to mention, incredibly flattering! 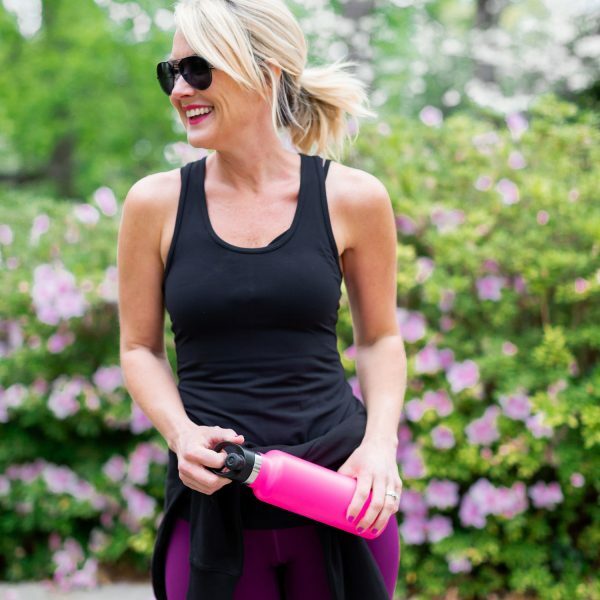 The built-in drawstring gives it shape, and the roll-tab sleeves up the chic-factor. 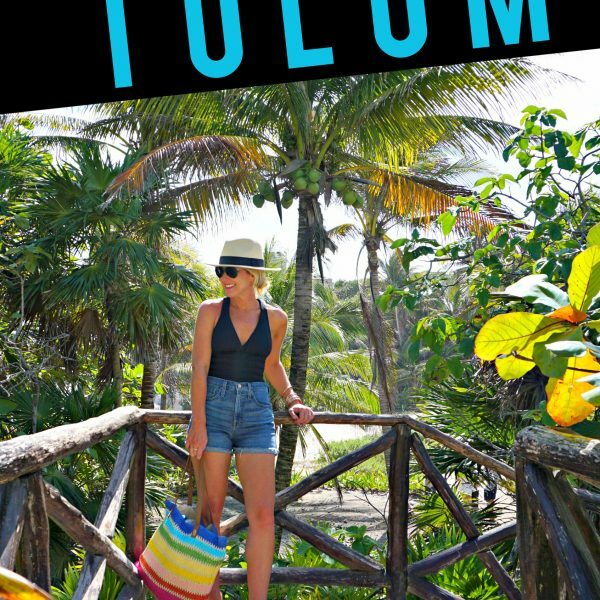 It’s a great mid-weight, and hangs beautifully without pulling or clinging. 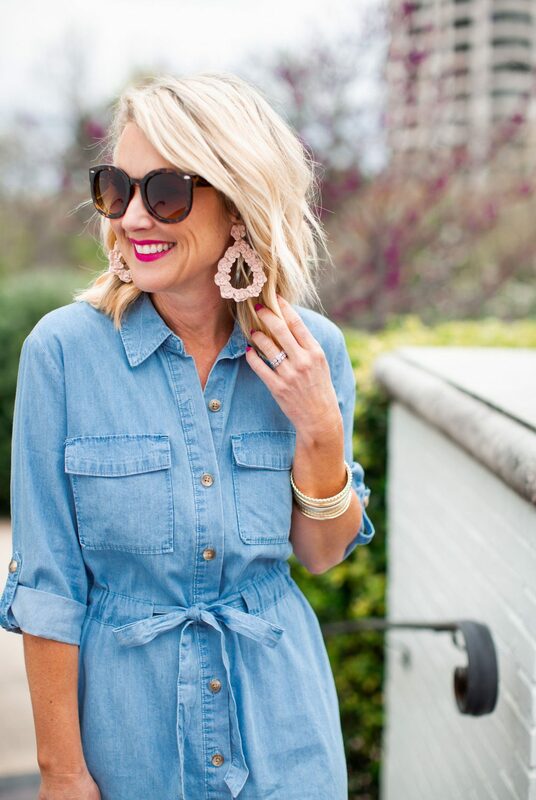 Fit Tip: I’m wearing an XS chambray. It also comes in a fun olive color. You could pair this dress with a wedge or heeled sandal, and easily take it to work, too. But I couldn’t resist these darling bow slide sandals, in the cutest striped print…so weekend, it is! They’re seriously cute, and the fabric makes them comfy and easy to wear. And with code FAMILY6, they’re $17! I’m seriously impressed with the quality of this bag for the price, too! The gold ring is so on-trend, while the shape and texture is timeless. It comes with a removable strap and floral scarf, as well. How about an equally affordable Work Wear style? This midi skirt had me at pleats and abstract! 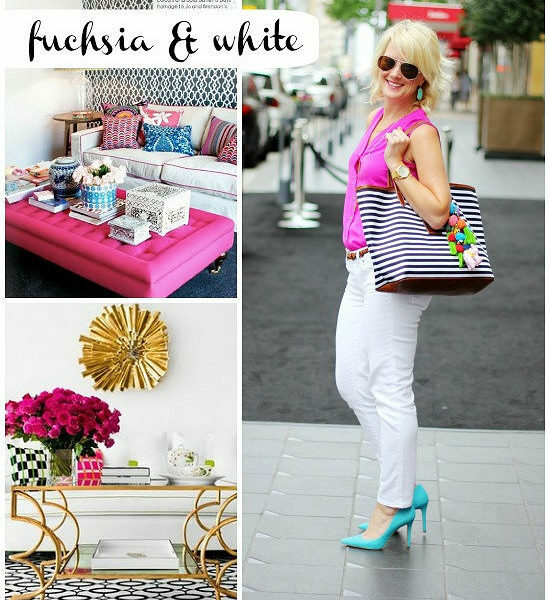 So many gorgeous colors to pair, from all the shades of blue, to pinks, yellow, white, and classic black. I opted for a ribbed sleeveless sweater in black for a more classic combination for the workplace (it’s on sale for $15! ), and to allow the skirt to shine. Both pieces are incredibly well-made! The sweater is a great mid-weight with lots of stretch, and the skirt fully-lined. It has a pull-on style with elastic waist. Code FAMILY6 makes it only under $30! Fit Tip: I’m wearing an XS sweater and XS petite skirt. This classic bag works with so many styles, and the blush pink trim a great Spring neutral. The bangle set is an amazing find at only $10. 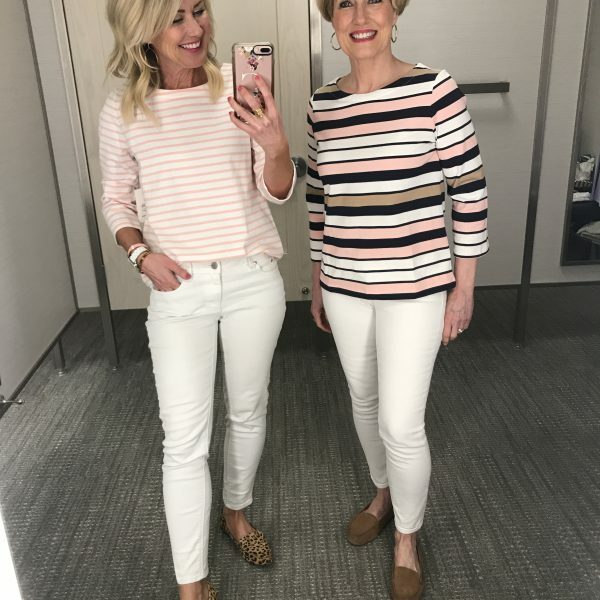 Two fun styles for Spring…are you surprised I found them both at JCPenney? Which style is your favorite? PS…Find more of my Work Wear styles here. I am in LOVE with both these looks- but #1 had my heart!!! Those sandals are the best find!